I just finished quilting and binding this quilt. I started it as a sample for the wonky stars class I taught ta HelloStitch. I wanted to see how many stars I could fit into each other. I stopped at three, because it would have gotten too large. 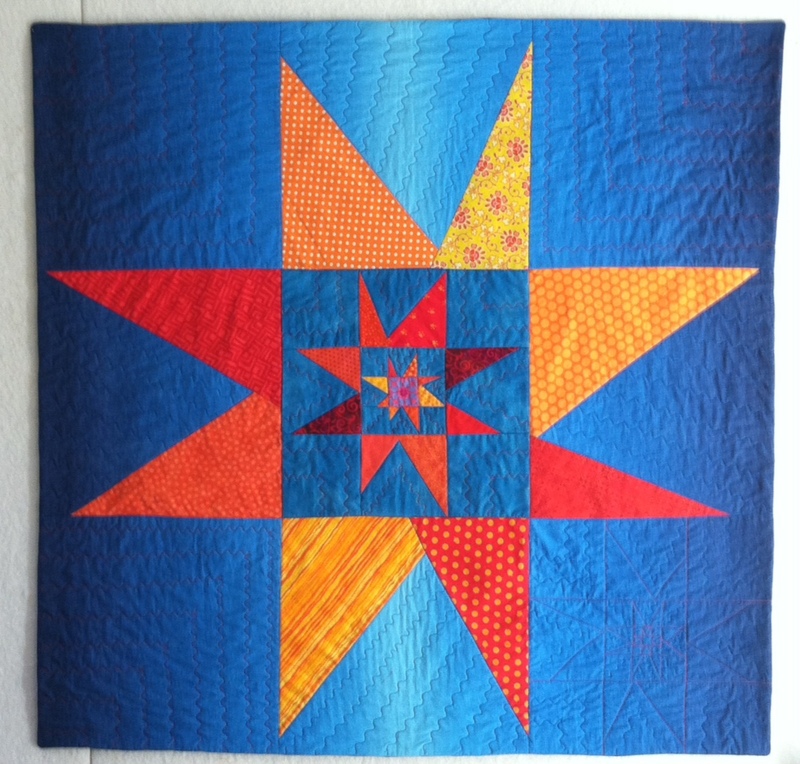 I used a piece of ombre blue fabric for the largest star fabric. This will be one of my two quilts for the EBHQ show and tell in Nov. The other quilt will probably be the one from the previous post, which hasn’t been quilted yet. 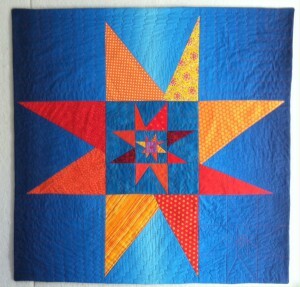 This entry was posted in EBHQ, Improvisational piecing, liberated stars. Bookmark the permalink.